Posted on November 11, 2014 at 9:19 pm. 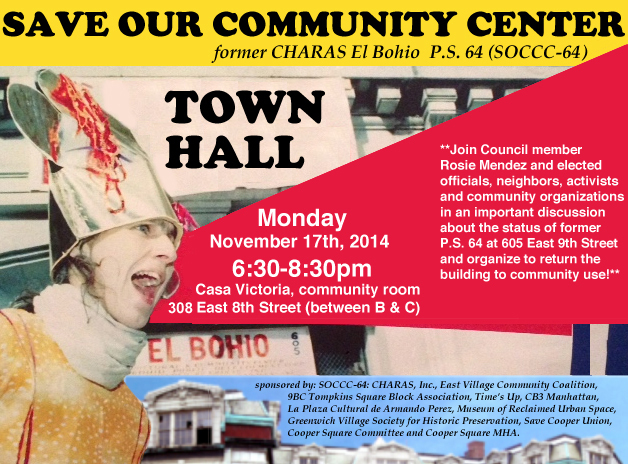 Join Council Member Rosie Mendez and elected officials, neighbors, and community organizations in an important discussion about the status of former P.S. 64 at 605 East 9th Street. Organize to return the building to community use!